We know that the first few weeks after your labour, the exhaustion and lack of time difficult the logistics needed to attend appointments at specific times. But is also the time when you need more support from professionals to ensure that all is going well with you and your newborn baby. 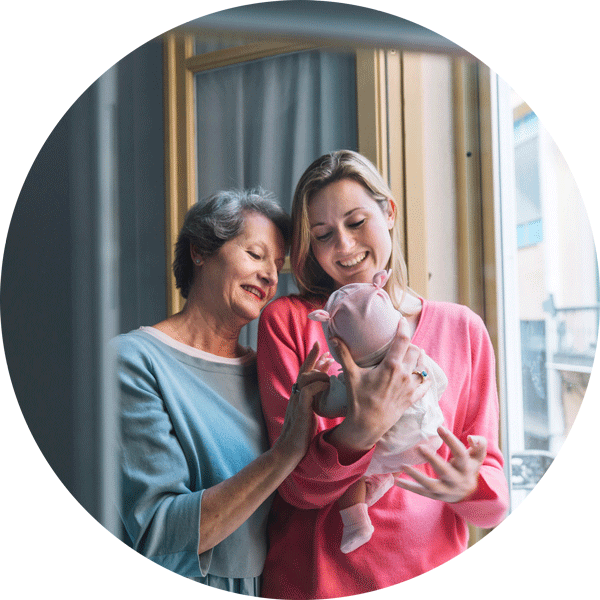 That is why we have brought the good habit of UK community midwives to Madrid, so you and your baby can be cared for at home during the first weeks. Our midwives will visit you regularly after your baby is born and you will be provided with our midwife's contact number for doubts that may raise. We check your stitches, blood pressure, general state, labour aftermaths, resolve your queries, etc., etc. We weight your newborn, monitor physiological jaundice, healing and care of the umbilical cord, evaluation of poos and wees, feeding, etc. The visit can be in ENGLISH or SPANISH.